Buckle up and get ready to be impressed with a Nissan driving experience. Choose the ferociously fast GT-R or head to the silver screen and drive the car made famous by The Fast and the Furious franchise, the R34 Skyline. View our range of junior and adult Nissan experiences, at multiple UK venues, below. Find available dates for nissan driving experiences with our live calendar. 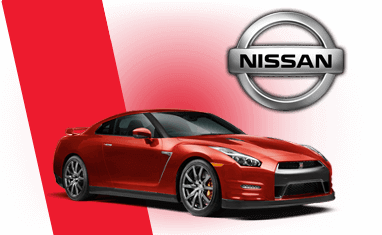 What is a Nissan GTR Driving Experience? The ultimate track car, the Nissan GTR is designed to push the limits of what’s possible on a race track. We have a range of experiences that will let you feel the power and G-force these incredible machines can produce. On our driving experiences, you can get behind the wheel of a Nissan GTR and take on some of the most famous tracks in the world including Brands Hatch, Castle Combe and Donnington. Indeed, the car known as Godzilla in Japan is perfectly at home on the track with its twin- turbo V6 engine singing and a 0 to 60mph time of just 3.3 seconds. What’s more, this incredible machine can compete with cars that are twice the price. If you’re a fan of the Fast and Furious series then Brian O’Connor’s R34 Skyline will be well known to you. We will let you get behind the wheel of this fantastic recreation and live out your fantasies of speeding through the Miami streets within the confines and safety of a race track. Why not also take a look at our range of drifting experiences that let you burn rubber and make as much tyre smoke as you want as you slide around corners looking out of the side windows? For younger fans, we have a selection of experiences which let children as young as 11 get behind the wheel of a GTR. On all our driving experiences you will be accompanied by an experienced specially trained instructor not only to ensure the safety of the occupants but to make sure the participants have as much fun as possible within a safe environment. If the Nissan GTR just isn’t enough fun for one day we also have a range of experiences which let you team your GTR with another incredible supercar. From Ferraris to Aston Martins, we are sure we’ll find you the perfect accompaniment to your GTR driving experience. Above you will find all of our fantastic packages which make great gifts for any motoring fan. You can order a 10-month gift voucher or book directly onto a date.